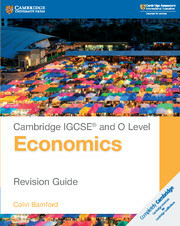 Covers the Cambridge IGCSE syllabus (0455) and the Cambridge O Level syllabus (2281), first examination from 2020. 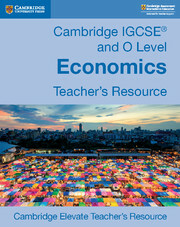 This series helps students understand economic theory, terminology and principles. By applying tools of economic analysis, undertaking calculations and writing longer responses, students learn how to look at the world like an economist. 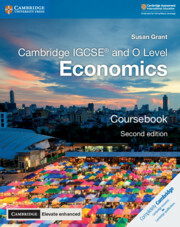 The workbook matches the Cambridge IGCSE and O Level Economics syllabuses and provides students with additional concepts to strengthen their understanding, as well as the quality of their answers. The answers to the workbook questions are in the teacher's resource. 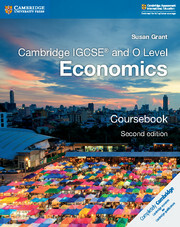 A range of new practice exercises builds students' Economics skills and confidence with the subject. 170 multiple choice questions test students’ understanding and help them develop their answer technique. 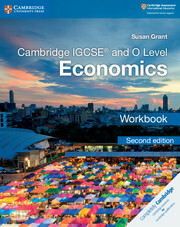 With dedicated sections, the workbook helps students undertake calculations and interpret diagrams like an economist. Includes four-part questions that require longer written answers, helping students to write in a logical and lucid manner. 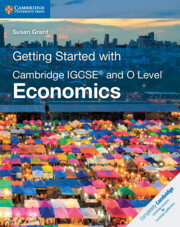 The series also includes a coursebook, revision guide, teacher's resource and Elevate enhanced edition, as well as an introduction to the course requirements - Getting Started with IGCSE and O Level Economics. Section 6. International trade and globalisation.